Thanks to a grant provided by TD Friends of the Environment Foundation, citizen scientists contributed to conservation initiatives in the Place for Life! Citizen scientists are individuals who volunteer their time, effort and resources to work with professional scientists, resource managers, environmental managers or alone on scientific research. These individuals may not necessarily have a formal science background, but receive training on the data collection methodology to help understand their role in the bigger picture of conservation. Citizen science provides an out of the ordinary conservation approach which combines people’s love for nature and shows them technical approaches scientists use to make decisions on how and what to protect. Having citizen scientists participate in the active monitoring of ERCA’s naturalization projects contributes to the science that leads to conservation! With the help of citizen scientists, invasive Purple Loosestrife was monitored and removed from Hillman Marsh Conservation Area as well as Garlic Mustard from the John R. Park Homestead. During the summer months, citizen scientists help to improve the Turkey Creek Native Plant Garden by learning about pollinators and participating in garden maintenance. ERCA staff received Monarch rearing training through the Teaching and Learning with Monarch Butterflies workshop. 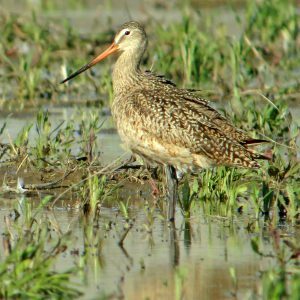 As a result of this training, citizen scientists are able to learn about this keystone species, it’s migration and life cycle through our outdoor education programs. In the fall, citizen scientists helped to collect trees for future forests with ERCA’s Forestry Department at two public seed collection workshops. Members of the Essex County Field Naturalists Club, the general public as well as students attended various bird migration hikes at Hillman Marsh where experienced birders educated guests on how to use a scope properly. Students in the Science, Technology, Engineering and Math program at St. Thomas of Villanova High School attended a Prothonotary Warbler Life Cycle workshop and habitat hike to provide a deeper understanding of this endangered bird. Students also began working on the construction of PROW nest boxes to be installed at Holiday Beach CA in the spring of 2019. 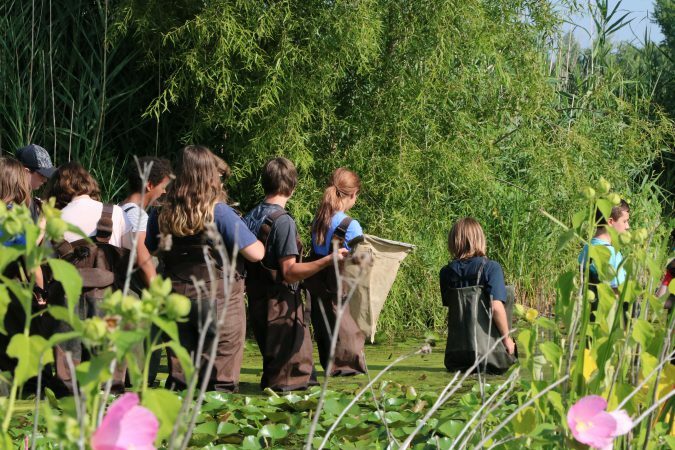 These activities have impacted many local school children and their teachers as well as members of the public who are interested in gaining valuable experience and knowledge that relates to the environment in Windsor-Essex. Thank you to all of the citizen scientists who were involved in the many programs we hosted this past year! We would also like to extend our sincere thank you to TD Friends of the Environment Foundation for supporting these initiatives in 2018! 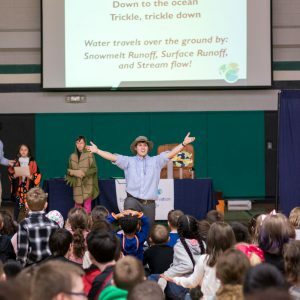 Check out our citizen science video!